The first two days at the YA Readers Hangout, August 1 and 2 in the JCDC Independence Village were indeed pleasant. The patrons who stopped were open to participating in conversations and basically having a good time. This included books and reading that was offered at the booth. I laid out a dozen or so fiction and poetry books, about four books were published in the 1960s, but most were published in the 2000s. The book with the overwhelming number of queries was The Boy Next Door by Mandisa Parnell. The book is a contemporary teenage romance. As the booth holder, I played about eight games of chess with young adults, teens and two children over the first two days. I am not a practiced player and did not learn strategy, but am tenacious, so it was mentally exhausting. 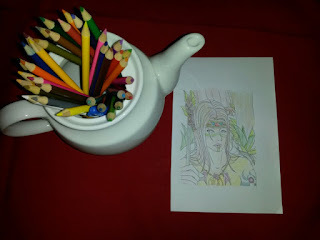 Inviting persons to do adult colouring certainly got a few guffaws, but also some interested participants, so while I played chess with one young man in his early 20s, his friend peaceably coloured an illustration of an Amerindian girl. I had more boys and men colouring than girls and women. 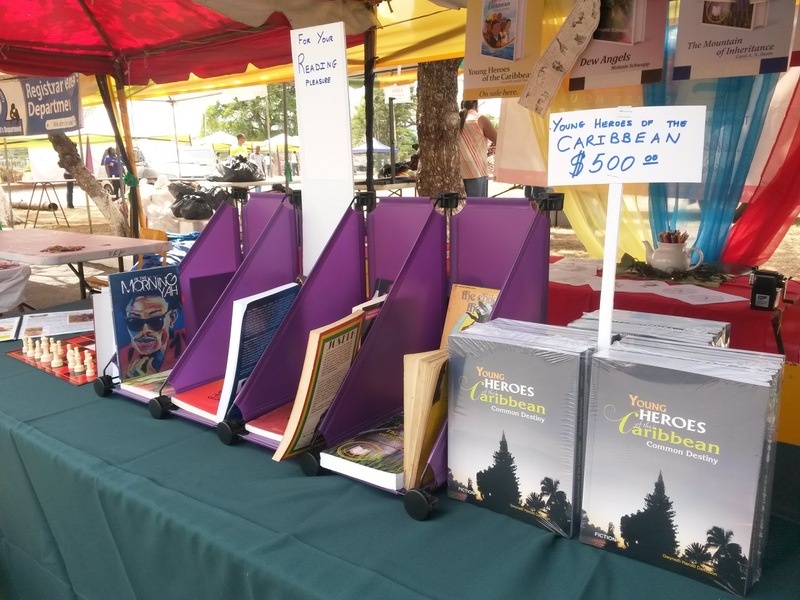 The aim of the booth is to promote the concept of Jamaican Young Adult books by engaging people in discussions and activities, and sell my novel, Young Heroes of the Caribbean.